If you’re looking for a loaded out Jeep Wrangler with features like 35-inch tires, custom tops, a Mopar lift kit, Fox shocks, LED light bars, electric running boards, custom bumpers, electric winch and much more — look no further than the American Fastbacks models at Miller’s RV in Baton Rouge. 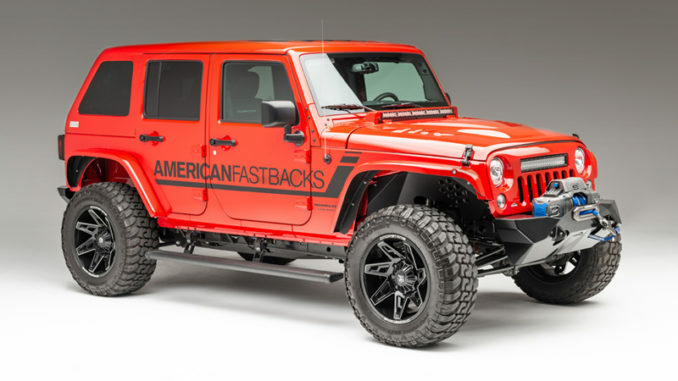 The vehicles, which are brand new 4-door Jeep Wranglers, come fully customized by American Fastbacks and are sold as a complete package. And if you choose to go off-road and do some camping, a Jeep RV is definitely the way to go. The good news for your peace of mind is a full warranty on the vehicle, and the accessories. “Because the customization is done by an RV manufacturer, it doesn’t void any of the warranty on the chassis,” Hilliard said. “Often when you add accessories to a vehicle, you can mess up the warranty with the original manufacturer, but this doesn’t. For more information on American Fastbacks Jeep RVs, call or text Miller’s RV on Florida Boulevard in Baton Rouge at 225-275-2940, or visit millersrv.com.